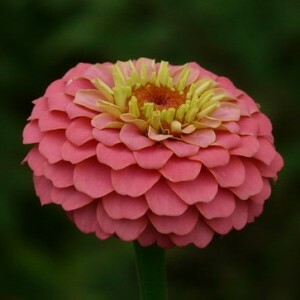 Zinnia is a sort of annual and long-term herbs and semi-bushes of the family of Asteraceae. Zinnia's homeland is Mexico, there this flower locals once called "mal de ojos" that in translation from Spanish means "badly for eyes". In Europe Zinnia received the name "flower of poor people" or "flower for all" as easily I bred and didn't cause difficulties in cultivation. And for surprising ability to give new flowers when didn't fade old yet, Zinnia was called by "youth and an old age". For its gallant look, this magnificent plant is called quite often "major". It is also possible to meet the name "grandmother's flower" in the speech of flower growers. The names which are thought up by the people, Zinnia received thanks to the characteristic signs, and the scientific name was given in 1759 by Karl Linney in honor of Johann Gottfried Zinn, the director of a botanical garden in Goettingen and professor of pharmacology who brought this plant to Europe in 1796 from Central America. Zinnia. Zinnia variety. Zinnia cultivation.